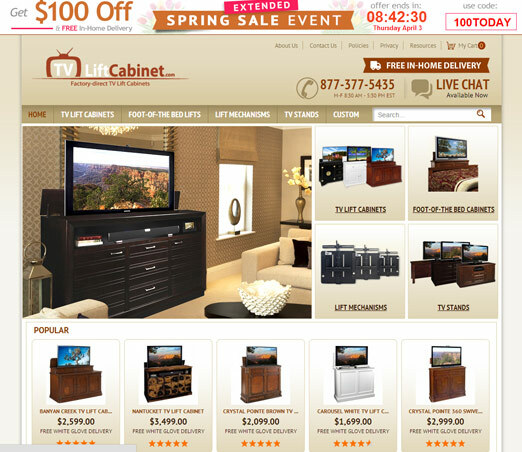 Another long-time client of Neoverve's that migrated to Magento. 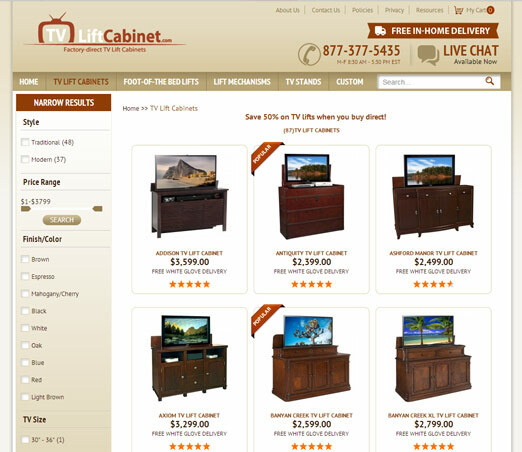 TV Lift Cabinets is a seller of TV Lift and TV Cabinet accessories for your living room. 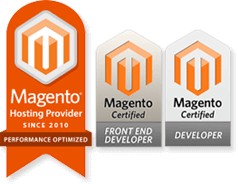 They are very promotion heavy and their store required many customized and purchased Magento extensions to accommodate for these needs.